This Professionally Converted Country Coach, NEW direct from the factory. The original price was over $360,000. The total miles is ONLY 173,000 actual miles. 102" wide, Raised Roof, Detroit 475 HP w/jakes and 5 Speed Allison Transmission. Hardwood floors in Kitchen, Tile in Bathroom, Corian Counters with builtin blender, Jacuzzi Tub with Shower. Custom Exterior Paint w/paint Scheme. Aux Wabasto Heater. 8D Batteries with Converter, awnings. The seller states all mechanical and electrical systems are fully functional except the driver's seat massage function. (Likely a simple electrical issue.) All surfaces are in new or like-new condition, as you would expect with so few miles. Seller will include the hitch-mounted vehicle tow system for full-price offers. Stock #169680 This 2008 Allure Sunset Bay Quad Slide is a Must See. Always garaged. Under 24,000 miles! Retailed new with options for nearly $500,000!! If you are in the market for a class a, look no further than this 2008 Allure 470 Sunset Bay, just reduced to $159,500. This Class A is located in Sacramento, California and is in great condition. She is also equipped with a Caterpillar engine that has 23,995 miles (as of February 4). Reason for selling is no longer using it. 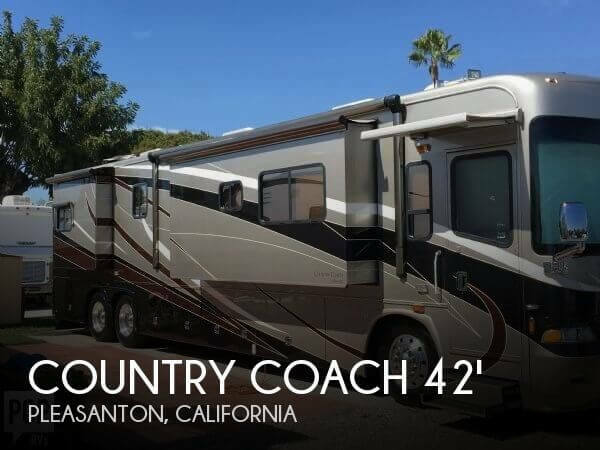 This 2005 model Country Coach Inspire shows in much better condition than expected. Her high gloss full body paint is clean. Hairline cracks were noticed in the bedroom slide. Interior is clean, tidy, well organized and shows pride of ownership. Stock #173204 Super clean and luxurious rv! Perfect for hanging out with the family and enjoying your time! If you are in the market for a class a, look no further than this 2005 Inspire 330 DA VINCI, just reduced to $79,900. This Class A is located in San Diego, California and is in great condition. She is also equipped with a Caterpillar engine that has 30,000 miles. Reason for selling is no time to use. This 1999 Country Coach Magna 380 Aspire appears to be in very good condition for the year. Loaded with Options !! 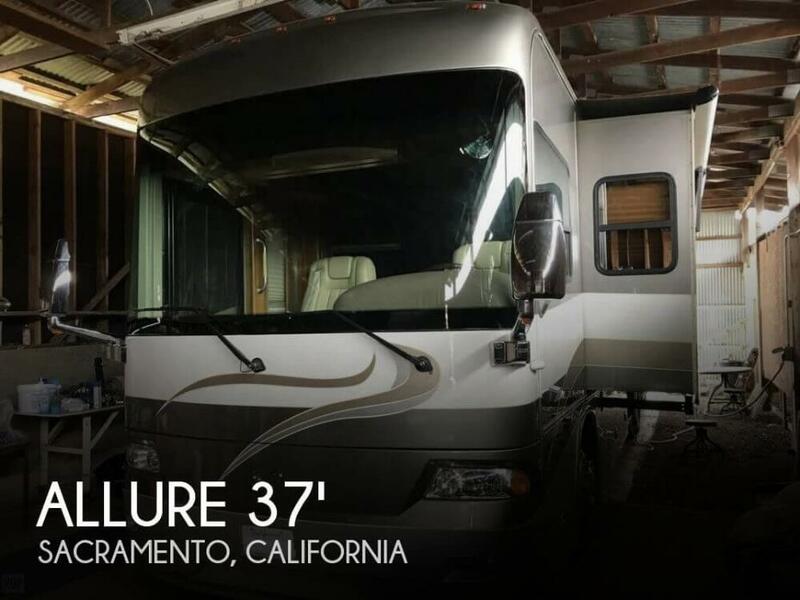 The Owner stores the RV in a custom garage when not in use. The tires are just 18 months old. ONLY 82k miles on the upgraded CAT 385 HP motor and Dynomax chassis DONT WAIT ON THIS ONE !! Stock #173552 BEAUTIFUL ....ONE OWNER COACH !! Optional CAT 385 HP engine !! LOADED with Options !! ONLY 82k miles !! 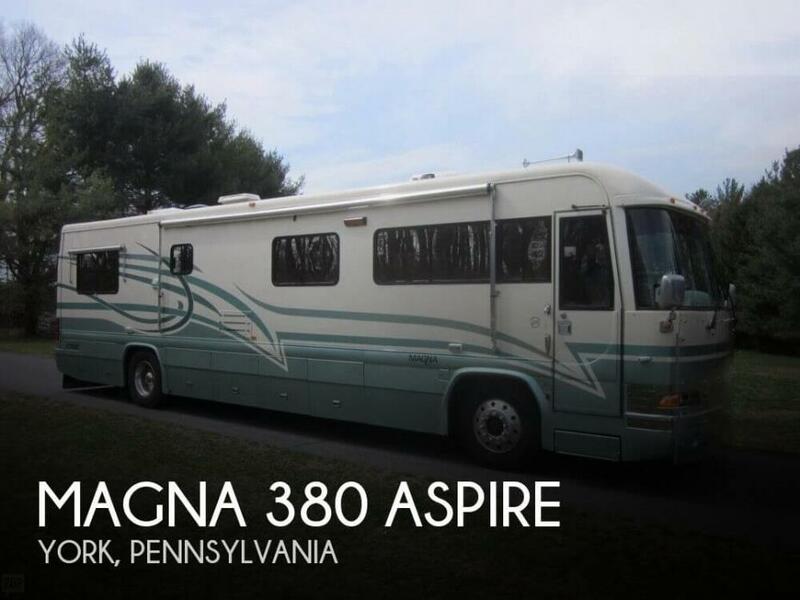 If you are in the market for a class a, look no further than this 1999 Magna 380 Aspire, priced right at $50,000. This Class A is located in York, Pennsylvania and is in great condition. She is also equipped with a Caterpillar engine that has 82,143 miles (as of April 8). As you can see from the pictures and video that this 2004 Intrigue ( by Country Coach) Ovation 505 Triple Slide is in good condition. Per the seller, the unit has been well maintained and has no known issues except the 3M nose coat is cracking and glazed. Stock #154480 This RV was SOLD on March 28. 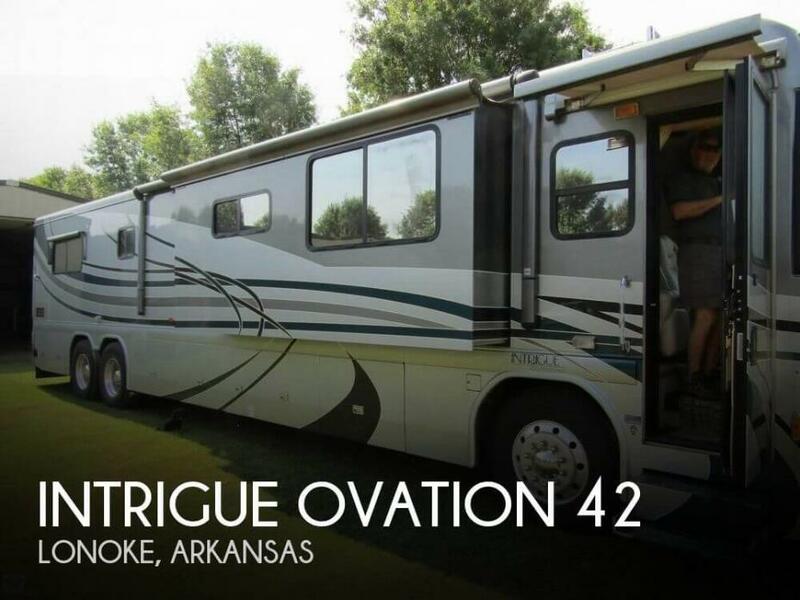 If you are in the market for a class a, look no further than this 2004 Intrigue Ovation 505 Triple Slide, just reduced to $74,900. This Class A is located in Lonoke, Arkansas and is in good condition. She is also equipped with a Caterpillar engine that has 33,470 miles. The Imron paint on the outside is in excellent condition; this includes the front cap as a custom plexiglass shield protects the front. As per owner, all systems work as designed -- no tears in the upholstery and no signs of leaks anywhere on the interior. 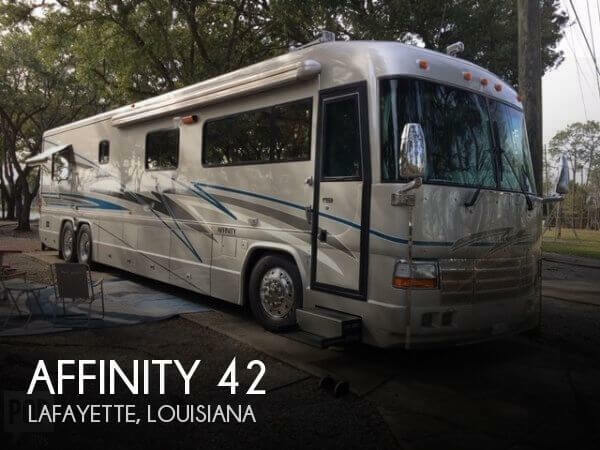 Stock #172226 2001 AFFINITY BY COUNTRY COACH CLASS A RV CATERPILLAR DIESEL PUSHER TAG AXEL If you are in the market for a class a, look no further than this 2001 Affinity 42 DS, priced right at $111,200. This Class A is located in Biloxi, Mississippi and is in great condition. She is also equipped with a Caterpillar engine that has 68,000 miles. Reason for selling is bought a house. Front overhead TV cabinet has been customized and refurbished to fit a newer flatscreen TV and maximize head clearance. New seamless exterior roof liner. Driverside clear coat is delaminated at selected areas. Seller reports coach is tight, strong, and all service records available Stock #172009 8.3 Cummins 330HP 1050 torque. 40' with one large living room slide. Power tech 8kw diesel generator. Allison 6 speed. If you are in the market for a class a, look no further than this 2000 Allure 40 LPSG, priced right at $64,500. This Class A is located in Riverside, California and is in good condition. She is also equipped with a Cummins engine that has 82,824 miles (as of March 19). Reason for selling is no longer used. This second owner is a retired Fire Department Captain who has painstakingly serviced, remodeled & upgraded from stem to stern. Seller reports all systems are in great working order. Full body paint appears flawless. One small pea size nick noticed in a windshield. Stock #170205 Country Coach Intrigue 36'. Remarkable Condition, new tires, suspension, batteries, full body paint "beautiful ", remodeled interior. 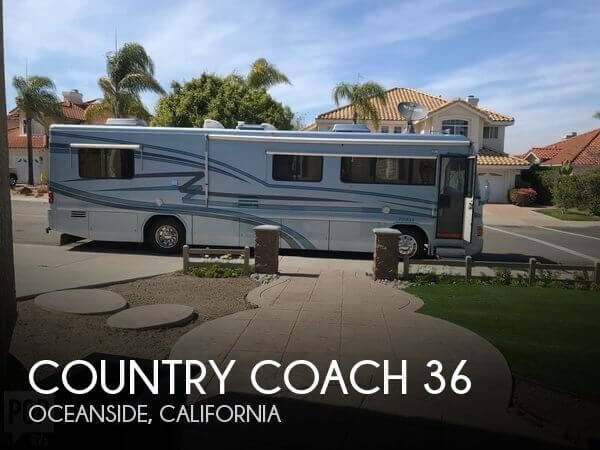 If you are in the market for a class a, look no further than this 1995 Country Coach 36, just reduced to $48,000. This Class A is located in Oceanside, California and is in great condition. She is also equipped with a Cummins engine that has 123,000 miles. Reason for selling is downsizing. 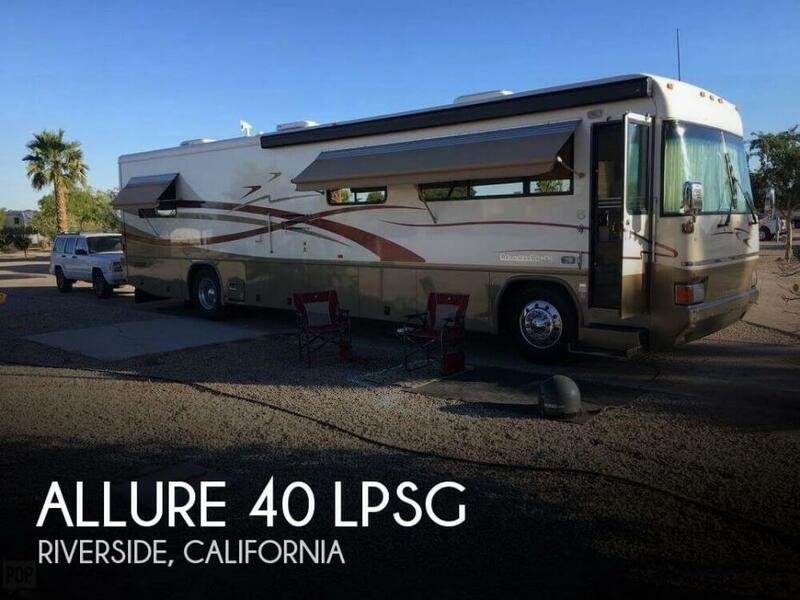 Seller states this RV is in great overall condition. The 127,000 miles included long road trips which minimize overall wear and tear. Recent service for the engine, generator, and transmission. All the records and full set of plans from Country Coach. Stock #172906 PRICE SO LOW IT'S LIKE GIVING IT AWAY!!! HIGH END 2007 COUNTRY COACH ALLURE 470 CLASS A RV TAG AXLE CUMMINS DIESEL PUSHER If you are in the market for a class a, look no further than this 2007 Country Coach Allure 470, just reduced to $102,000. This Class A is located in Pleasanton, California and is in good condition. She is also equipped with a Cummins engine that has 127,000 miles. This coach is in very good condition. All systems are working properly. The passenger seat's left arm rest is broken. Owner has the sofa that was in place where current workstation is located should new owners prefer the additional seating. Awning above entrance door needs replaced. Stock #140170 LIKE NEW, IN EXCELLENT CONDITION!!!! READY TO HIT THE OPEN ROAD!!!! 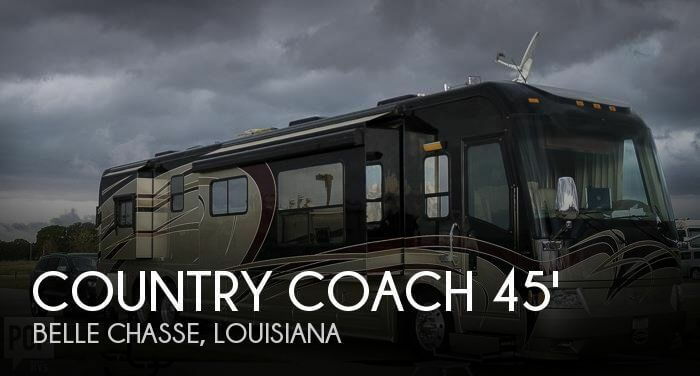 If you are in the market for a class a, look no further than this 2008 Country Coach Allure 42, just reduced to $129,900. This Class A is located in Katy, Texas and is in great condition. She is also equipped with a Cummins engine that has 139,462 miles (as of December 15). Reason for selling is lifestyle change. 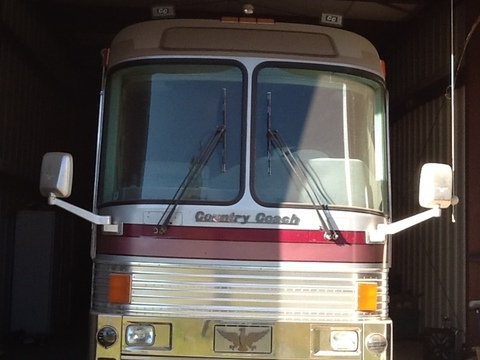 This 1990 Prevost Country coach 40 has been well taken care of by a knowledgeable Prevost owner. Newer tires and batteries. It has the Bus air that was replaced recently. Seller has all maintenance records Stock #163229 New over the road dash air by Prevost costing $12,000 along with over the road living room and bed room air! New (2)Atwood hot water heaters & MORE!! If you are in the market for a bus conversion, look no further than this 1990 Country Coach 40, priced right at $88,900. This Bus Conversion is located in Lakeland, Florida and is in great condition. She is also equipped with a Detroit Diesel engine that has 162,000 miles. Reason for selling is health. This coach is in excellent condition inside and out with the multitude of features which all operate normally. 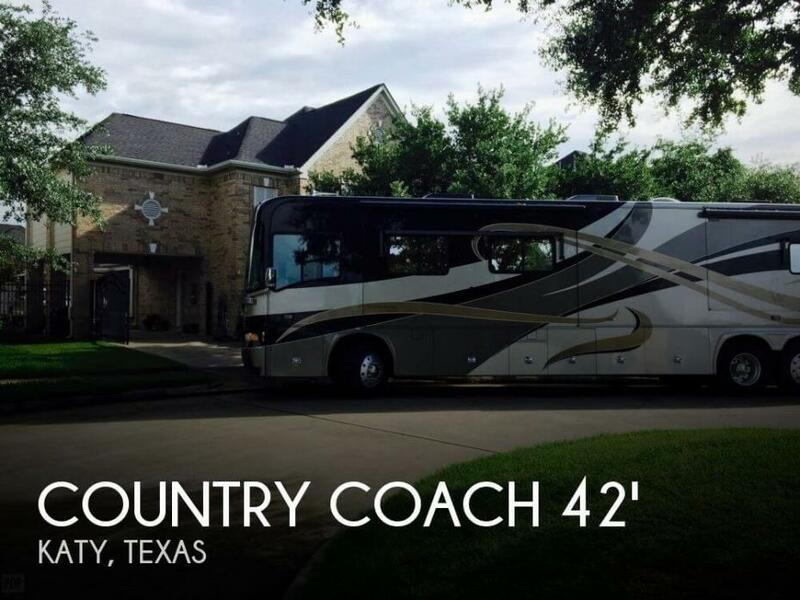 It is like the Rolls-Royce of coaches with a variety of upgrades. It is literally a home on wheels with many features you will find in a high-end home. Stock #147366 Intrigue 530, 45 foot luxury coach has been kept in a garage. connected to shore power with air-conditioners running - solid cherry interior! 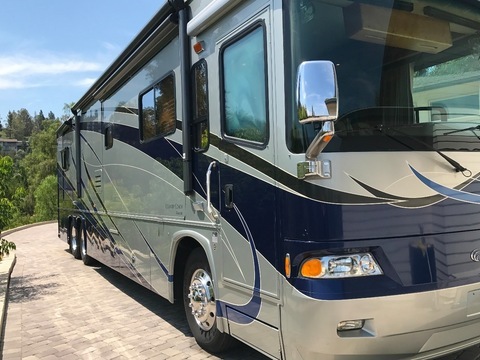 Reason for selling is seller's age..
As you can see on the odometer, this Coach has a bit over 33,400 miles on her, but the engine only has about 200 miles, as it was recently rebuilt in July 2018. The engine rebuild is under full Caterpillar warranty anywhere in the country until July 2020. 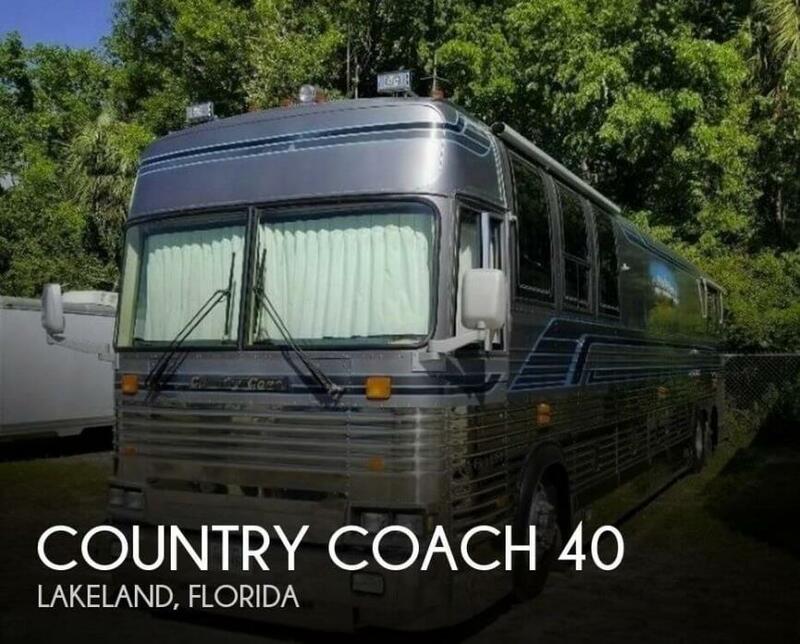 With so few miles on her, this beautiful Country Coach is definitely worth a look. Stock #158300 This RV was SOLD on November 9. If you are in the market for a class a, look no further than this 2006 Inspire 360 DaVinci 40', just reduced to $110,000. 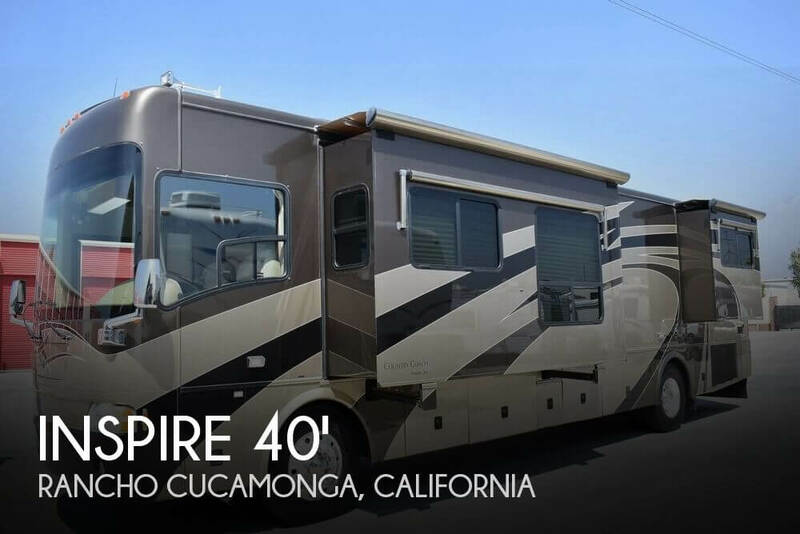 This Class A is located in Rancho Cucamonga, California and is in great condition. She is also equipped with a Caterpillar engine that has 33,450 miles (as of September 29). 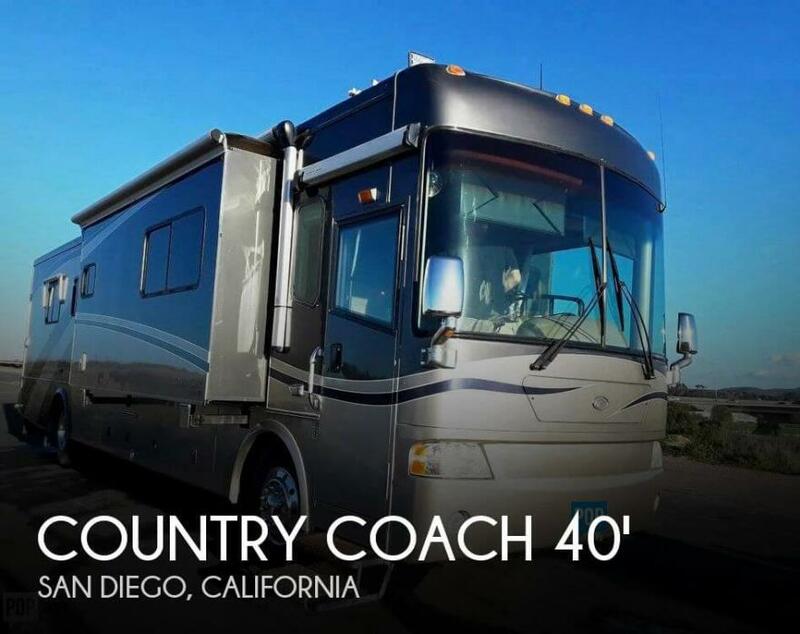 The owner reports that this coach is in great shape and ready to hit the road when you are. By all appearances he has done a great job of keeping this coach up and well maintained. We encourage you to send us all your questions and consider coming to see this great coach. Showings are available by appointment. Stock #162832 Excellent Country Coach Allure 470 / One Owner / Low Miles If you are in the market for a class a, look no further than this 2008 Allure 470, priced right at $166,700. 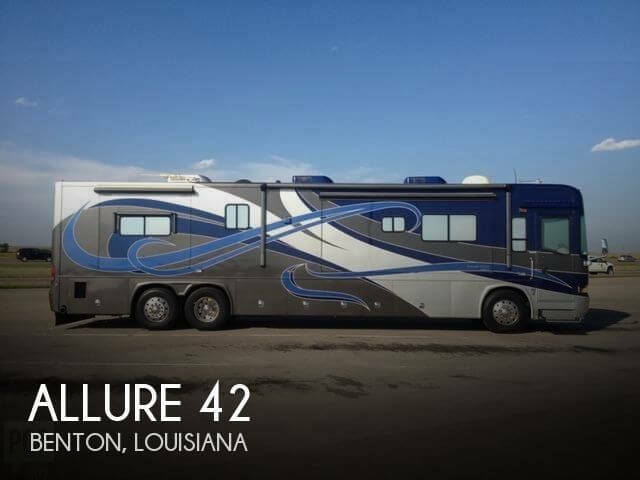 This Class A is located in Benton, Louisiana and is in great condition. She is also equipped with a Caterpillar engine that has 32,165 miles. Reason for selling is downsizing.